Many years ago a young man with a wife and children had a desire to do something for the Lord. One day the Lord asked him what he wanted to do for him. His answer was, he wanted to build him a church. Some years had past but in 1944 his desire became a reality. 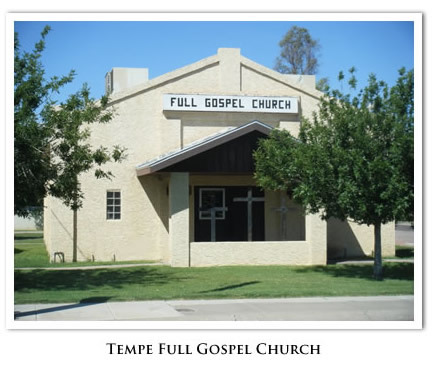 Lloyd L. Groomer and his wife Gladys founded and built this church that stands on the corner of 7th Street and Farmer Avenue in Tempe, Arizona. Lloyd and Gladys pastored this church for 44 years. They went home to be with the Lord. Dad passed in 1986 and mom passed in 1987. 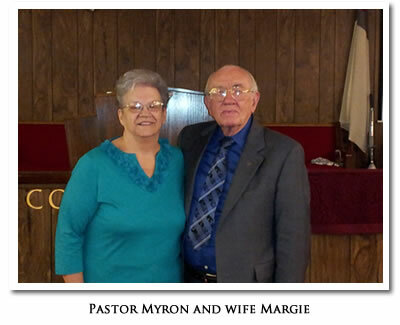 At this time Myron F. Lamb Jr. and wife Margie became the pastors of this church, ministering for over 25 years. Our church is not the biggest or the most beautiful church in the world but when we open the doors and the the people enter and begin to worship, honor and sing praises to the Lord, He blesses us and honors us with His presence. We have been so blessed. We have three children who are now grown up with families of their own. God has put a call to the ministry on our youngest son Kevin. Kevin and his wife Natale have four beautiful children and are co-pastering with us to help stand in the gap till Myron (Bill) regains his strength after a 2-1/2 year struggle with health. God is still God even in the hard times. As the Pastor of the Tempe Full Gospel Church and with the help of my wife, it is our desire that all who come to this church, whether they be children or adults, may receive all of their needs met from the Lord. It is our desire and goal that they find a real and lasting relationship with the Lord Jesus Christ. Hello! 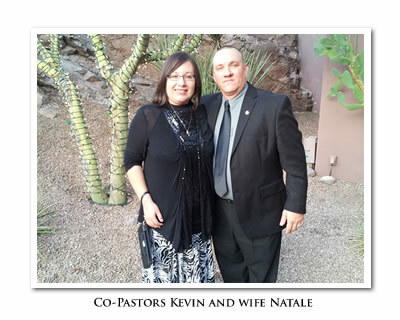 My name is Kevin James Lamb and this is my wife Natale Lamb. We are co-pastoring here at the Tempe Full Gospel Church. We would just like to welcome you to come and worship Jesus with us and feel His mighty presence. We believe that you will be blessed. In Psalms 22:3 it says, "But thou art Holy, O thou that inhabitest the praises of Israel. Come and worship and see the power of God!" God bless you.